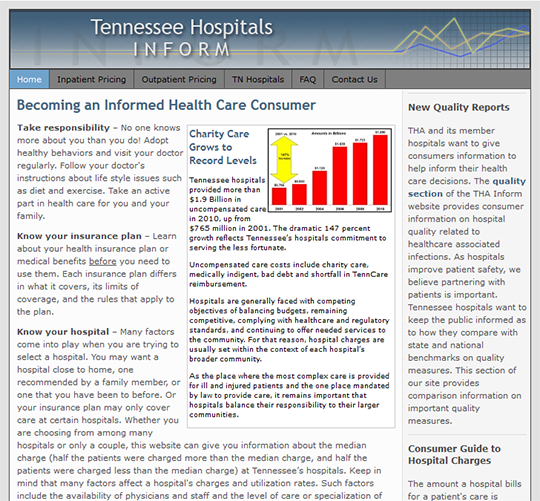 THA Inform website lists the median charges billed by hospitals for their most common diagnostic-related groups (DRG) at Tennessee’s hospitals. The quality section of the Website provides information on hospital quality related to healthcare associated infections and how they compare with state and national benchmarks on quality measures. This section of the site provides comparison information on important quality measures.